Riverfront living has been desired from the beginnings of when Jupiter was incorporated as a city. The advantages of the Loxahatchee River include breathtaking views, location near the center of town, and of course the proximity to the Jupiter Inlet and Atlantic Ocean. Today it is hard to find new luxury construction and gated community neighborhoods on the River at affordable prices. Much of Riverfront real estate was developed as a hodge podge. Older wood frame homes with no gated security and missing neighborhood camaraderie abound because these were built in the 1950’s and 1960’s. Compass Island Homes online now. All listings & Sold Statistics! 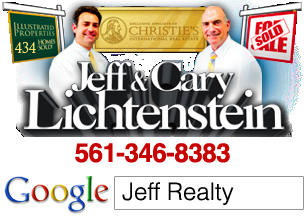 Compass Island Jupiter homes for sale in the Islands of Jupiter is one rare exception. The subdivision was developed in the late1990’s and offers the best in luxury. Saturina stone marble floors, crown molding, concrete block construction (CBS), volume ceilings are standard on most homes. Private docks and boat lifts for your yacht are standard for most homes. Estates range from 2800 square feet under air to nearly 5000 square feet all on the canals of the river. Compass Island homeowners association (HOA) costs are extremely low and give wonderful peace of mind security. Taxes are also a bit lower since the locale is in Martin County. Access to Compass Island real estate is from Loxahatchee River Road right up to the end. Nearby is Tequesta, beaches, i95 and the best in shopping, schools, boating, and restaurants all that South Florida has to offer. Posted in Jupiter homes, Uncategorized on October 3, 2011 at 7:19 pm.